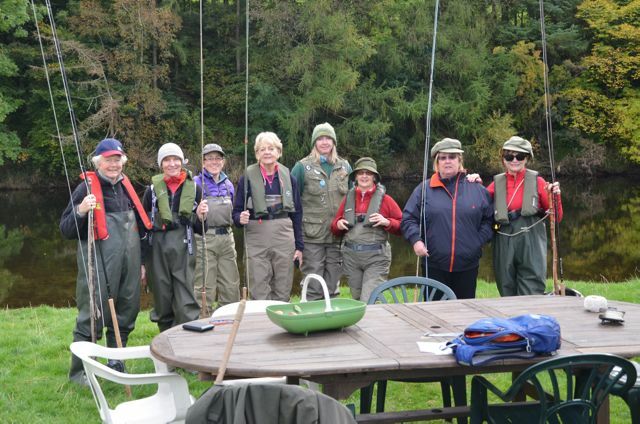 In October the Ladies Only Salmon School, a 3-day residential fishing course on the River Annan in Dumfries & Galloway saw its 50th female participant learn to fish for Atlantic salmon, casting aside angling’s ‘Men Only’ image. 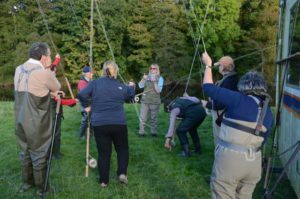 The course was established six years ago in addition to the co-ed Salmon Schools to help women get into fly fishing and in turn redress the balance in this overtly male dominated sport. 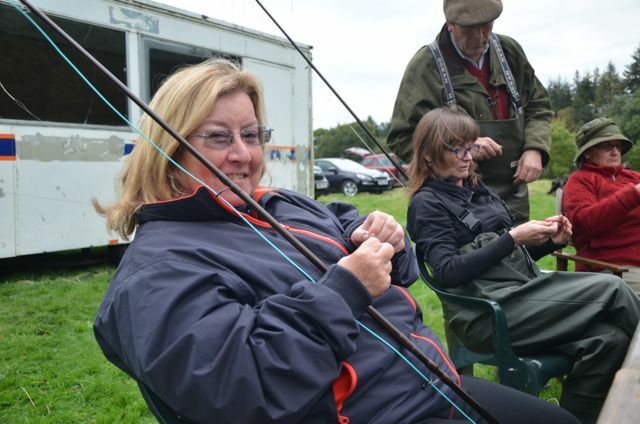 Anthony Steel, owner of Kirkwood Fishings, saw an opportunity to encourage ladies at a time when the developments in tackle and clothing made it much easier and comfortable to master the art of Speycasting. Consequently, over the past few years there has been a dramatic rise in the popularity of fishing amongst ladies yet participation still lags behind that in North America. 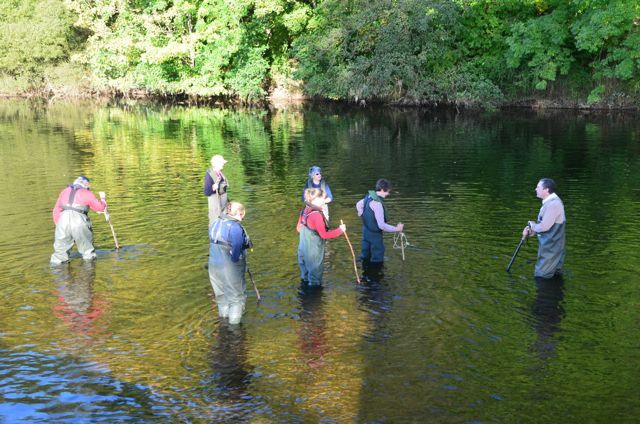 According to Mark Bowler, editor of Fly Fishing and Fly Tying magazine who co-hosts the Schools at Kirkwood, it has been estimated that in the UK only 1 in 50 anglers is female, whilst in the USA & Canada this is nearer 1 in 10. 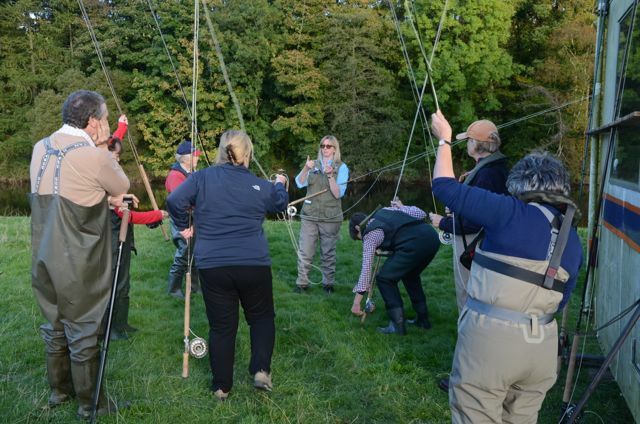 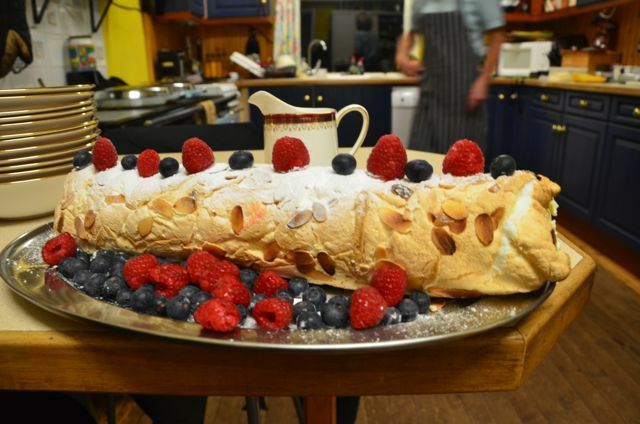 Anthony said: “We at the SalmonSchool are very proud to host this event specifically for women who can learn about all aspects fishing with a double-handed Spey rod from highly qualified female instructors and support staff. 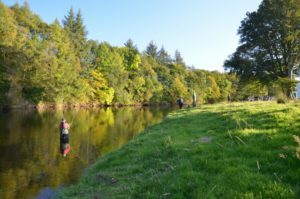 The safe and relaxing rural retreat, free from male egos, lends itself to the perfect learning experience with a very real chance of actually catching a fish too. Over the past four years when asked to mark the school out of 10 (10 being best, 1 being worst) the Ladies Only School scored 9.8 for “value for money”; 9.9 for “overall enjoyment” and 9.9 for “learning benefit”. Kirkwood is a working farm near Lockerbie which provides a range of self catering holiday cottages set in a unique lowland location. All instruction, fishing permits, accommodation, spare tackle and meals are provided at the School with plenty of tea and cakes enjoyed at the fishing hut.